Fans of an open jaw and multi-city tickets that allow to visit more attractive places during your trip may consider this attractive solution based on service of Air China. They are still offering very interesting solution to Australia with free stop-over in China! If interested in this deal please look for flights departing from Switzerland (Geneva) to Melbourne or Sydney. You can then fly to Beijing from where you would return back to London. Germany (Frankfurt, Munich) Vienna or Budapest. Such a multi-city open-jaw tickets are now available from just £408 or €508! This deal is based on similar logic as our previous deal of super cheap (double) open-jaw flights to South East Asia from £188/€212. 22.10. – 5.11. – 12.11. 29.10. – 2.11. – 12.11. 5.11. – 9.11. – 19.11. 12.11. – 19.11. – 26.11. 19.11. – 23.11. – 10.12. 26.11. – 3.12. – 24.12. 3.12. – 5.12. – 27.12. The easiest way to check your connection possibilities is through Skyscanner. This tool gives you quickly a rough idea which low-cost airlines are connecting your home town. To check some affordable accommodation you may consider hotel booking agents such as Hotels.com or Venere. They are now also offering 8% promotional code for additional discount off hotel rooms. More details to be found here. 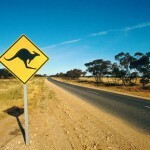 Booking sample of cheap multi-city open jaw flights to Australia & China £408/€508! In this case you would be departing from Geneva to Beijing on 5th of November. You would then fly from China to Australia on 12th of November. Finally your return flight from Melbourne back to London would take place on 26th of November 2018.